Special Offer on Rug Cleaning Will End Soon! This promotion will be over in a few days! 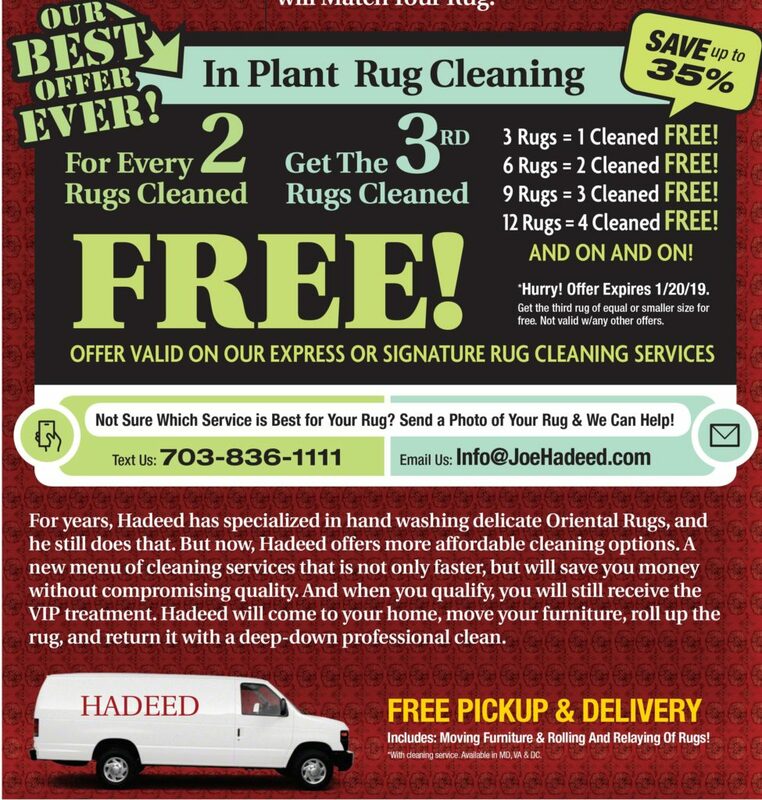 For every 2 rugs cleaned, get the 3rd rug cleaned for free! This offer is valid on our express and signature cleaning services. Whether your rug was machine-made or handwoven, we’ll be sure to take care of it and return it to you looking sparkling! Ask us about this promotion before it ends on January 20th.